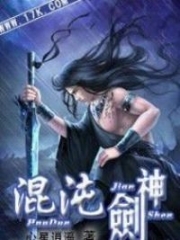 You’re reading novel Chaotic Sword God Chapter 1220: Frozen Statues online at LightNovelFree.com. Please use the follow button to get notification about the latest chapter next time when you visit LightNovelFree.com. Use F11 button to read novel in full-screen(PC only). Drop by anytime you want to read free – fast – latest novel. It’s great if you could leave a comment, share your opinion about the new chapters, new novel with others on the internet. We’ll do our best to bring you the finest, latest novel everyday. Enjoy! The arctic was to the north of the Tian Yuan Continent. It was not a part of the landma.s.s, but snowy plains that were separated by the vast sea. The climate there was freezing, and the environment was horrible. Blizzards would erupt from time to time that even Heaven Saint Masters could not withstand. There was also a white haze that filled the sky, which would quickly blow away from time to time as well, leaving behind white streaks in the air. This was the terrifying streams of coldness that were extremely active in the arctic. It was said that they could even freeze steel into an icy mess. The s.p.a.ce of the arctic was unstable, so it was impossible to arrive there through a s.p.a.ce Gate. With his second aunt Yu Feng Yan, Jian Chen, Nubis, Rui Jin, Hong Lian, and Hei Yu pa.s.sed through a s.p.a.ce Gate to arrive above the ocean near the arctic. They then flew toward the plains of ice. Although they had yet to set foot on the icy land, the weather was already extremely cold. The sky was hazy white while the sea water was freezing with huge blocks of ice floating in it. Most of them were Saint Kings, so they were unaffected by the chilliness that was enough to freeze ordinary people into ice statues. Only the weak Yu Fengyan paled because of the cold. Although she wore thick clothing made from fox fur, she still trembled. However, Yu Fengyan was filled with excitement even if that was the case. She felt warm inside over the fact that she would be able to see her daughter. She was willing to go through anything to see her. They arrived on the icy plains very quickly. The temperature was extremely low and the icy wind whistled across the land, cutting at them like sharp blades. Even as Saint Kings, they felt their skin tingle. The wind there could cut Earth Saint Masters into mincemeat easily, so it was impossible for ordinary people to survive there. With the soft sounds, Jian Chen, Nubis, Rui Jin, and Hei Yu’s clothes rapidly began to freeze. In just a few seconds, they became snow-white as a thin layer of frost covered them. The next moment, the four of them trembled slightly and easily shook off the frost that had covered them. Their faces remained the same as before, as if the coldness here was nothing. Yu Fengyan had already arrived beside Hong Lian. The streams of coldness were unable to approach Hong Lian due to the waves of heat she gave off. The frigid air turned to nothing before the heat. “Senior Hong Lian, please look after my aunt,” Jian Chen said to Hong Lian. Hong Lian was a Scorching Divine Phoenix, a sovereign of fire, so even as an ordinary person, Yu Fengyan would not suffer at all by sticking by her side. Hong Lian nodded slightly. She wrapped her hand around Yu Fengyan and continued on into the snowy plains. The waves of heat from her were warm and gentle. Not only did they pose no harm to Yu Fengyan, they even made her feel like she was basking in the sun. They flew at a low alt.i.tude across the snowy plains, making their way to the depths. As they traveled, the temperature plummeted even more. The chilly wind there was already enough to threaten Heaven Saint Master. Unless they could control fire-attributed Saint Force, even those at the Sixth Cycle would be cut to pieces by the sharp, cold wind. The streams of coldness that flowed past from time to time could turn one of them into an ice statue in a single moment. They flew for seven days across the icy plains and arrived at the depths. The cold air forced Jian Chen and Nubis to carefully find a solution to deal with it. A thin layer of energy coated their bodies for protection while three-inch-long ice crystals constantly formed on the surface of Hei Yu and Rui Jin’s bodies, which they would shake to pieces every once in a while. However, the crystals would form again after just a few seconds, and they would have to shake them off again. They had done this for several days already. Yu Fengyan was coated by a layer of flames, so she was unaffected. Just the waves of heat from Hong Lian were not enough to fend off the cold streams of air in the depths. At this moment, the icy plains suddenly began to billow, producing ghost-like wails. A large ma.s.s of hazy whiteness quickly flew toward them from right ahead. “Be careful!” Jian Chen called out, immediately using the Illusory Flash to dodge. Nubis, Rui Jin, Hei Yu, and the others did not fall behind either, avoiding the stream of white haze. Hong Lian called out and the brightness from the flames on her exploded. The roaring flames surrounded her and Yu Fengyan with terrifying heat. The heat was enough to melt steel beams in a single moment, but it could only guard the surrounding radius of a meter from the coldness. Hong Lian’s mastery over flames had already reached a level of perfection. She could control the heat of the flames as she wished, so even when engulfed by the terrifying flames, Yu Fengyan did not feel hot at all. Instead, she found them to be extremely warm since they were unable to harm her in any way. The stream of whiteness pa.s.sed by very quickly. Jian Chen, Hei Yu, and Rui Jin all successfully avoided it, but Nubis was struck by a stream in the end. The stream of whiteness was only a fist-sized ball of coldness, but it possessed unbelievable power. Nubis turned into an ice statue in a single moment after being struck. Nubis began to s.h.i.+ne with a bright, golden light. He had been immobilized by the ice, so he was currently trying to break free with all he had. He produced a few soft cracks in the ice. With his strength as a Third Heavenly Layer Saint King, Nubis was actually unable to break free in a short amount of time. Jian Chen stepped over and instantly arrived before him, hurling a punch at Nubis. With a m.u.f.fled sound, Jian Chen’s full-powered punch failed to shatter the ice. Only a tiny crack appeared. Jian Chen was not surprised. He had witnessed the power of the icy streams long ago. Without saying anything, he immediately hurled another punch. Bang! The cracks expanded once again with the sound, enveloping the ice in all directions like a web. Jian Chen punched a third time. Finally, after working from the inside and outside, Nubis broke free with a rumble. “Be carefuly. Don’t get frozen next time. The streams of coldness here are just far too terrifying. If it were any other ordinary Third Heavenly Layer Saint King, they definitely wouldn’t have been able to break free without help from another person. They would have been frozen to death on the spot.” Jian Chen was very stern. The arctic plains were far more terrifying than he had expected. Where they were right now could already threaten Saint Kings. Jian Chen’s group continued on. Four hours later, they had moved another thousand kilometers. They could no longer endure the coldness with their bodies alone, so all of them now possessed a layer of energy protecting them. They had become much more cautious than before, and even Rui Jin, Hei Yu, and Hong Lian dared not to be careless. Jian Chen had also made up his mind about sending Yu Fengyan into the saint artifact at any moment in time. This was because the dangers here were already enough to threaten them. After pa.s.sing over an icy mountain, all of their expressions hardened. A thousand meters in front of them, several human-shaped statue appeared. They arrived before the ice statues. They were life-like, and they could clearly see the faces of the sculptures. Every single one of them held different poses, and they could even see a terrifying gaze in the eyes of each statue. Other than that, every single statue radiated with a vague, chilling pressure. Rui Jin, Hong Lian, Hei Yu, and Nubis all gradually became solemn. Their faces were completely serious. With their knowledge and experience, they could obviously tell that the statues had not been created from ice but from people that had been frozen alive. “These people were all Saint Emperors when they were alive,” Rui Jin said in a heavy voice. His expression was extremely stern. Saint Emperors were already existences that stood at the very peak of the Tian Yuan Continent. They all felt extremely astounded by the fact that such powerful people had been frozen into statues here. Jian Chen s.h.i.+vered inside. He had learned that the Ice G.o.ddess Hall was very powerful long ago and was viewed as an extremely terrifying existence. But only now did he discover that the hall was far more terrifying than he had ever thought. “There’s more up ahead!” Nubis cried out as he pointed ahead in disbelief. With that, everyone turned to look. Five huge magical beasts appeared ten kilometers away, also frozen into life-like sculptures of ice. “Those are Cla.s.s 9 Magical Beasts!” Hei Yu cried out. He was astounded. 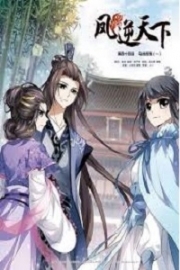 You're reading novel Chaotic Sword God Chapter 1220: Frozen Statues online at LightNovelFree.com. You can use the follow function to bookmark your favorite novel ( Only for registered users ). If you find any errors ( broken links, can't load photos, etc.. ), Please let us know so we can fix it as soon as possible. And when you start a conversation or debate about a certain topic with other people, please do not offend them just because you don't like their opinions. You're reading Chaotic Sword God Chapter 1220: Frozen Statues. This novel has been translated by Updating. 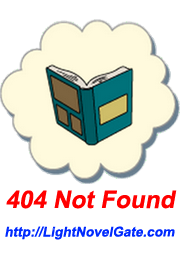 Author: Xin Xing Xiao Yao already has 5164 views. Current Time is Apr-23-2019 00:14:24 AM.